Traditional automatic transmissions have a number of gears or “speeds”. As you accelerate, the transmission starts in first gear and runs up through the gears. You hear the engine speed rise and fall as you progress through the gears. When you press down on the gas pedal the transmission may kick down into a lower gear to accelerate or climb a hill, and you hear the engine speed rise. A Continuously Variable Transmission, or CVT, is a type of automatic transmission. It does not have gears or speeds, but rather its “gearing” infinitely varies up and down depending on your needs. The engine instantly speeds up to the optimal number of revolutions for power and efficiency and stays there while the CVT seamlessly adjusts to reach the speed you desire. CVT’s are very efficient and often deliver better fuel efficiency than their traditional counterparts. Most hybrid vehicles have a CVT. You may be surprised to learn that there are thousands of vehicles with CVT’s on NEBRASKA roads. In fact, their design is based on Leonardo Da Vinci’s drawings and have been used in vehicles since the 1800’s. The biggest complaint GRAND ISLAND drivers have about CVT’s is that the driving experience is so different than what we are used to with a conventional automatic transmission. When you first press the accelerator the engine quickly revs up to best speed and stays there. That nonstop engine droning can become irritating. Also GRAND ISLAND motorists miss the sensation and sound of moving up through the gears. Some auto makers have programmed the vehicle control computers to simulate gear shifts and may even offer paddle “shift” options to make the CVT more engaging. Of course, that hurts the efficiency and performance the CVT is designed to deliver. As traditional automatic transmissions are being made with more gears (8 and 9 speeds are readily available), the fuel efficiency and performance gap with CVT’s is closing. CVT’s have far fewer moving parts, produce less heat and are lighter than conventional automatic transmissions. CVT’s are not currently suitable for vehicles that tow and haul heavy loads. Maintenance schedules for CVT’s vary by vehicle manufacturer. They do require a special CVT transmission fluid. 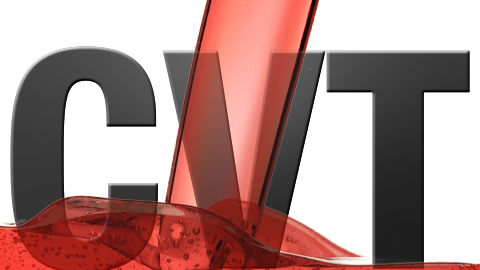 Using the incorrect fluid can ruin the CVT – so always use the recommended fluid. Talk to your Whitaker Auto Repair technician if you are not sure. Modern CVT’s are very efficient, durable and deliver a satisfying driving experience for Grand Island car owners. If you have a auto with a CVT, or are considering purchasing one, know that Whitaker Auto Repair can help you follow the factory recommended maintenance for the transmission along with your other maintenance and repair needs. Transmissions are heavy duty pieces of equipment that are designed to last a long time for most Alda drivers. But like any other machine, they’ll eventually wear out and need repair. So let’s focus on what you can do to push that day off as far as possible. The first thing you can do is to make sure your Alda transmission always has enough fluid. Transmission fluid cools and lubricates the transmission. When there’s not enough fluid, the transmission will run hotter and wear out sooner. Your Alda service center will check your transmission fluid level with a full service oil change and top it off if needed. If you see any transmission fluid on the driveway – it’s a reddish color – have us inspect it for a leak. A gasket, hose or seal could be leaking and may need to be repaired. The next thing you can do to prolong the life of your Alda transmission is to replace your transmission fluid on schedule. As you can imagine, all those gears grinding on each other result in lots of little bits of metal in the fluid. The more there is, the faster the transmission parts will wear out. Transmission fluid also contains detergents and other additives to protect your transmission. These additives are depleted over time, so old fluid doesn’t protect as well as new fluid. Your owner’s manual or Alda service advisor will have a recommendation for when you should have a transmission service. If your transmission isn’t shifting as smoothly as it should, or if you suspect a transmission leak, let Whitaker Auto Repair take a look at it. And ask if it’s time for a transmission service. Regular maintenance and taking care of small leaks right away will help your transmission last as long as possible.